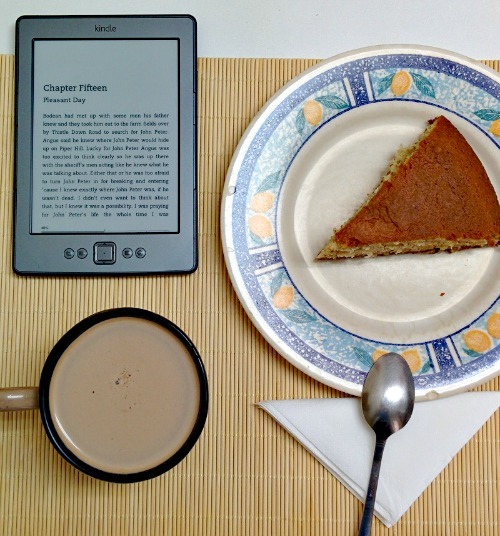 How is the Readathon going? Snacking: because you all know that I participate because I can eat snacks while reading, right? Exercising: because you have to work out your body as well as your mind. Besides, the audiobook I’m listening to is really motivational regarding this matter 😀 I’ve been working out while listening to it, by the way! 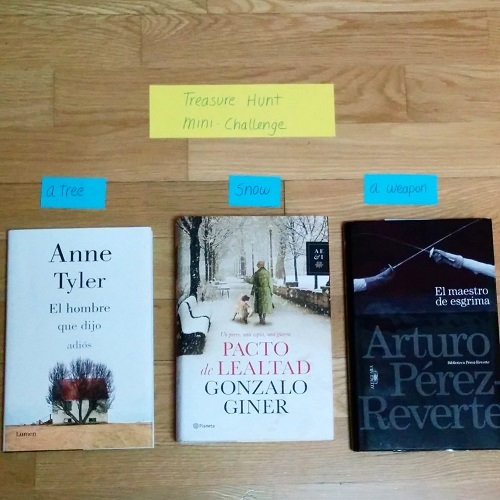 And in the “treasure hunt mini challenge“, in which you had to find books with a tree, snow and a weapon (swords in my case, haha). Now, let’s get back to reading, guys! Regarding the rest, I’m so much thrill about the challenges that I can’t take the photos right, haha. Very nice choices! Includes two authors I love, Rosamund Pilcher and Arturo Perez-Reverte! I need to do some mini challenges this evening, but first I need to make some reading progress. 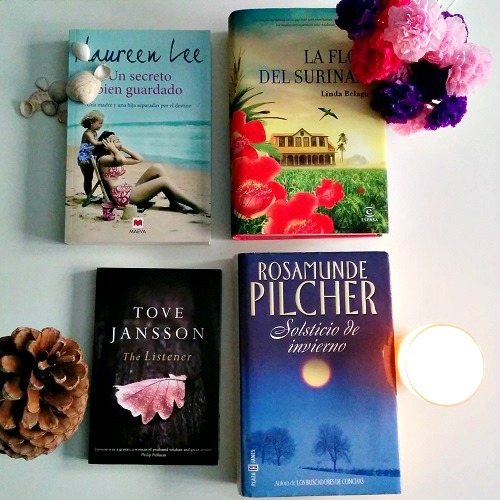 Ohh I also love Rosamunde Pilcher, I think she is my favourite author ever. And Pérez-Reverte is always a safe choice too! Take a look at the minichallenges, just in case, because they are open only for a few hours each! I just love your four seasons mini-challenge photo. such a nice touch with the little props. keep having fun and happy reading!